I refer to your article on lightening hair with honey and cardomom frequently because I use this treatment a lot . I love it. ( except I make a mess with the cardomom. ) lol. I was reading the list of preferred honey for lightening hair. I have read that raw honey contains more benefits than commercial grocery store refined honey. Is this true ? Or does any type – – refined or raw work just as well ? RAW is better — the heat can destroy the peroxide! 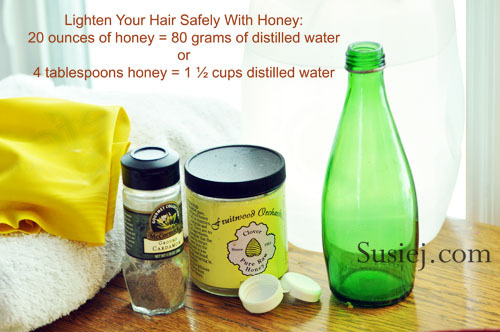 It is a great method, and so good for your hair!